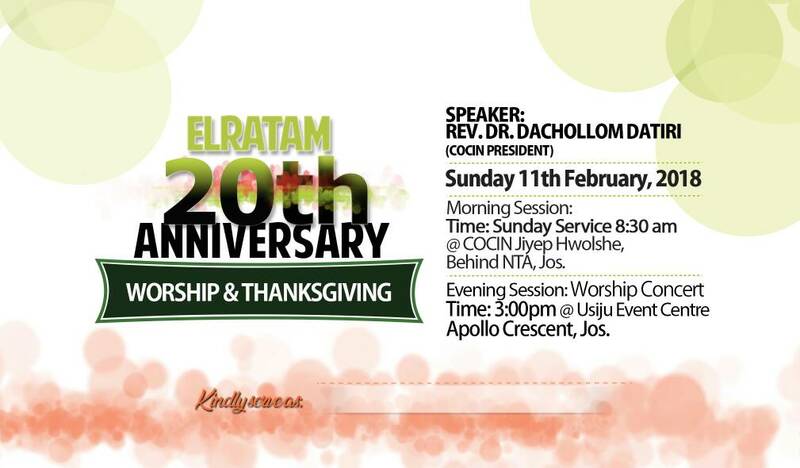 The ELRATAM gospel ministry is set to host an explosive praise and worship session in celebration of its 20th anniversary. The events billed for 8am and 3pm at COCIN Jiyep, Hwolshe and Isuju event centre, Apollo Crescent Jos respectively is expected to feature performances by highly reputed gospel ministers in Jos. It is also expected to feature a thought provoking message by the COCIN President, Rev. Dr. Dacholom Datiri. Attendance according to organizers is free and open to all.